What's your fave b-day dessert? If you could pick any dessert to have for your birthday, anything you could think of, what would you choose? Triple chocolate cake with double cream or fresh ice-cream with double cream, or home made apple pie with double cream. Do you spot a theme here? I've only head about that stuff, but it sounds like it might be slightly better than our heavy cream. Double cream is roughly the same as heavy cream, we also have whipping cream usually used as a topping after being whipped by hand or food mixer and single cream used for pouring, in coffee an cocktails. Any type of cake just as long the frosting is hard and tasty. I don't like that whip cream frosting. Breakfast in bed or dining? What was the first alcoholic beverage you've ever drank? If you drink, what drink do you usually order? What was in this girls drink? Which You Pickin 類? If either of you try it you better share your thoughts on how it was. Ice cream cake... used to serve it at all of my birthday parties when I was younger. Molten chocolate lava cake is a close second. Birthday Cake Ice-Cream or Vanilla with Cake. Apple Pie warm with Ice-Cream. NY style cheese cake with strawberries and a drizzle of chocolate, served with a latte. Birthday cake. Orange pancake and black forrest are my favorites. Any dessert with a new rifle or a set of keys to the new GranTurismo S parked outside. Tres Leches is my favorite kind of cake, but as far as a traditional style cake, I would say Chocolate or Carrot. For Ice Cream, Vanilla with the cake, but by itself, Chocolate Chip Cookie Dough. Man, tres leches is soooo good! Those are all other good choices as well. Creme Brûlée... my all time favorite! Ever heard of or been to Fresh Thyme Farmer's Market? I haven’t but I did look it up! I’ll have to check it out next time I’m in PA! I know they're in IL, I think they started there, and we just got one in OH near me. They've got a fun tasty little treat. Yeah I saw a lot of Michigan locations too. Being in CT... PA is my closest bet! Definitely on my list of places to visit. I’m a chef so it’s right up my alley! And I’ll buy 100 of those! That's awesome you're a chef. They aren't the best creme brulee ever but they are still good when you've got the craving, don't want to spend a lot of money, and don't have the time to make it. Plus I love to repurpose the little class container they come in. Yes we do have good pizza here! I can’t wait to give it a try tho! And I’m a glass container whore! I have ball jars for everything here! 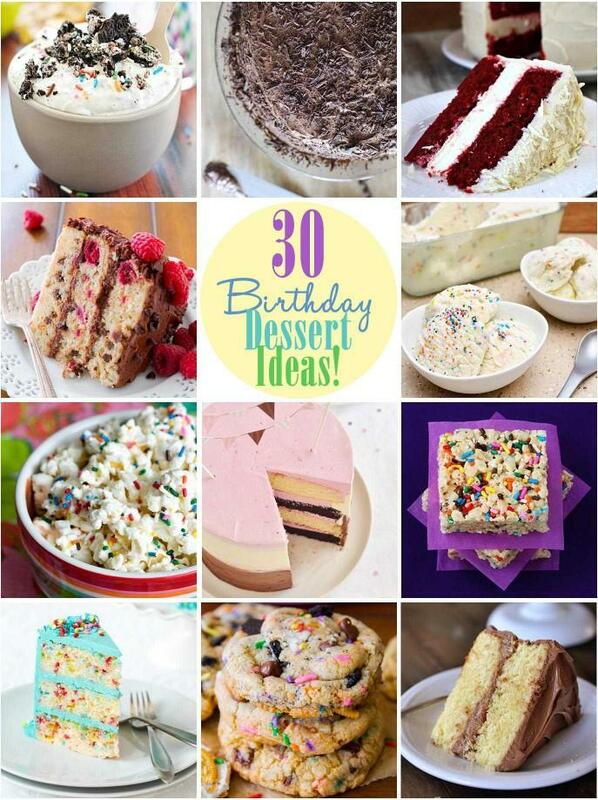 Home > Food & Beverage > What's your fave b-day dessert?